Please enable frames to view this content. Visit Shopobot to find the best deal for this camera. 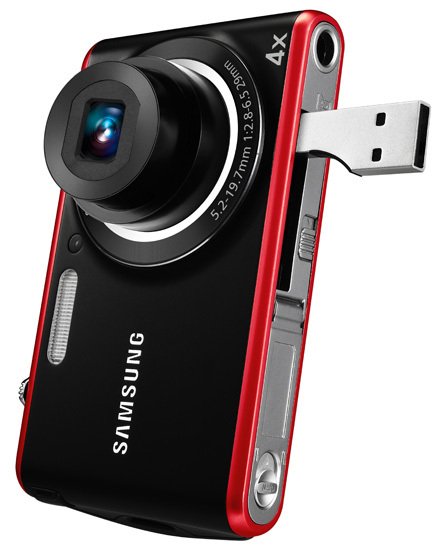 The Samsung PL90 is an ultra-compact point-n-shoot model with great image quality. Although its startup and shot-to-shot are slow, this is an excellent camera for the price. Read more in our Full Conclusion. 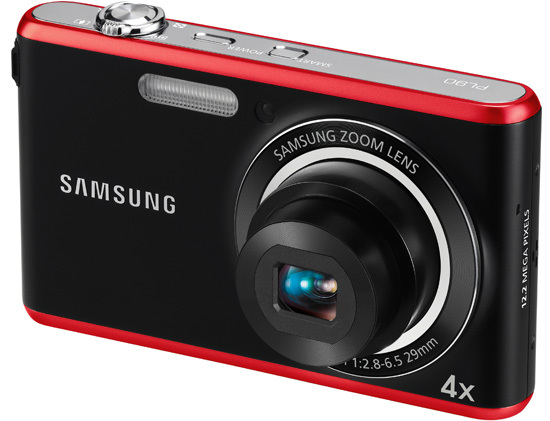 Samsung continues to roll out new compact cameras this summer, including the new PL90. This is yet another affordable point-n-shoot camera to add to their ranks, which boasts some standard features for a camera in this price range. These include 12-megapixels, a 4x optical zoom lens, 2.7-inch LCD screen, and standard definition video recording at 640x480. The PL90 also boasts Smart Auto, AF tracking, their Perfect Portrait System, and a built-in USB plug, which hides inside the body until released. This allows for effortless sharing and uploading of photos when connected to your PC and also charges the camera's Li-ion battery at the same time. Perfect Portrait System: Beauty and Smile Shot modes, etc. The Samsung PL90 is available now in two color choices (black/red or black/sliver) for a suggested retail price of $149.99 US.